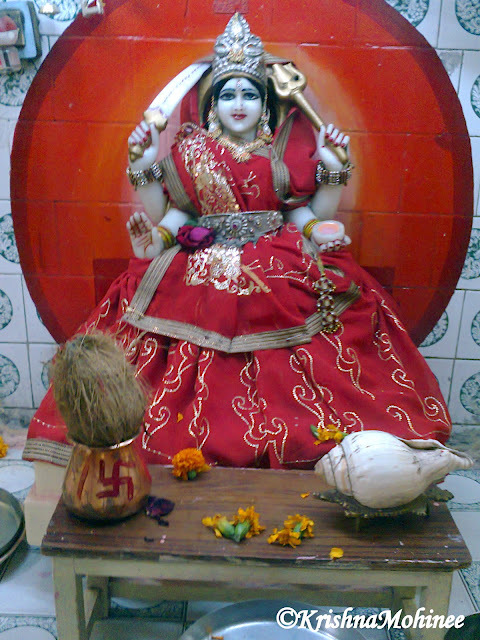 Today is Friday and so let's take the Divine Darshana of Santoshi Mata from Dhule. A small and beautiful temple with faith and blessings of the Mother Santoshi. Santoshi means the one who is pleased very easily with simple prayers and worship. Just see! She is looking so beautiful with the Red Sari. Also today is 11/11/11, so our blog is 11 days old.